Very easy n delicious one...love coconut n this sounds superb...thanks for sharing!! 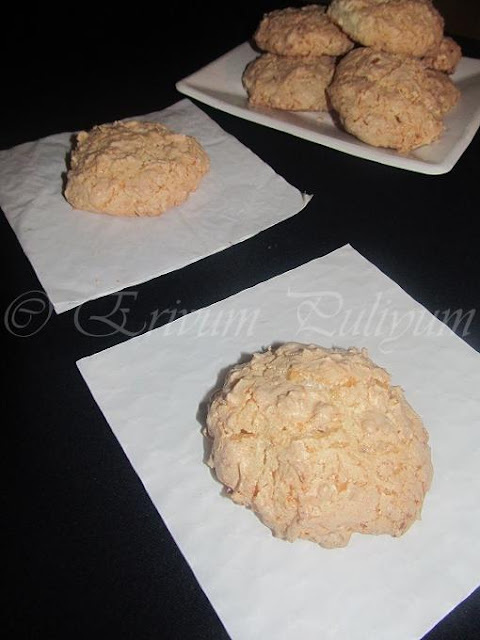 These are really tasty right.. have done these too..quick & easy! Fantastic Julie, very very tempting, bookmarked.. I was in the grocery store and they had a table full of coconut macaroons sitting in the middle of the store. I was so tempted to buy some and said not now and walked away. I am so surprised that you have blogged about it. The recipe looks simple. They have a nice colour mine always get little darker. Love Macaroons! Actually made some recently...yours look great! Fabulous Recipe.Luv the perfect baked colour. One of my fav Dear. 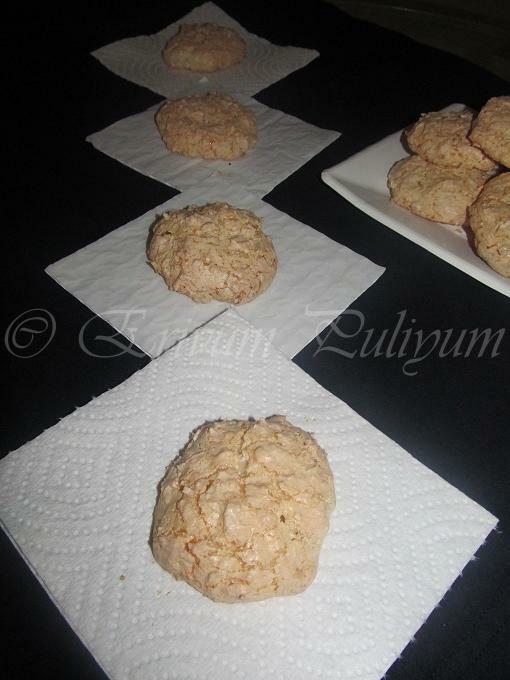 wow Julie, didn't know coconut macaroons were so easy to make.. Will give it a try soon. Would love to have this linked up to my event. wow! vey delicious.thanks for sharing. nice ...i normally use castor sugar....now this is even easier! wow beautiful crunchy macroons...love it!! I had these only once and fell in love with these. They are amazingly delicious. Thanks for sharing.. 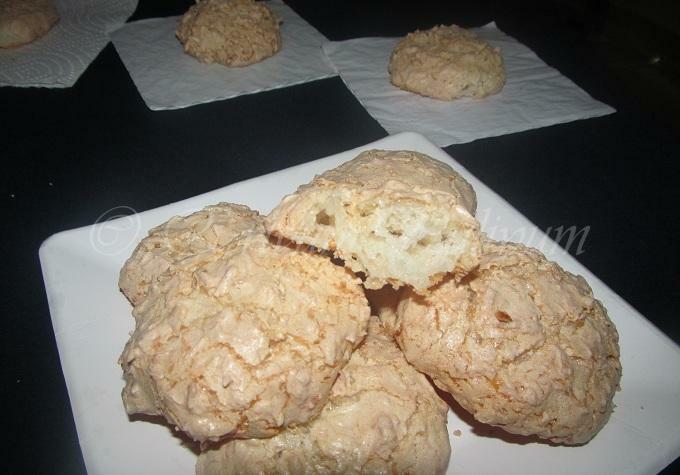 Perfect crunchy outside gooey inside macaroons.my favorite! Cookies looks crunchy and yummy. These cookies look wonderful, so yummy! We used to get these in Mangalore. My aunt would add a couple of drops of lime juice - perhaps to prevent crystallisation of sugar, or maybe to keep the white colour. I made it long long ago. Should attempt it once again. They are so delicious. 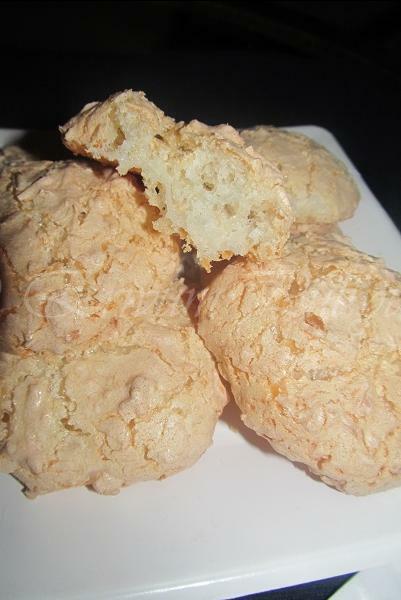 Super delicious and tempting macaroons. Looks very airy and light, yumm! absolutely in love with this - bookmarking this one for sure!! Flavorful and such a great delight to bite into! Coconut macaroons are my fav. Cute and crunchy at the same time. Perfect for the evenings.